I would like to invite all of my constituents to come to the State House for a special free tour of one of the State’s most treasured buildings. Tours are given year round from 10:00 am to 4:00 pm, and last approximately 40 minutes. To reserve a tour please call the tour desk at (617) 727-3676. 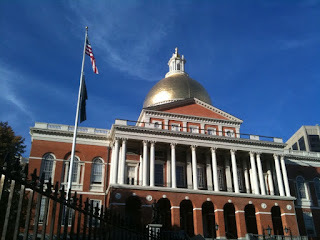 The State House offers both portraits and historical artifacts of Massachusetts long and storied history.